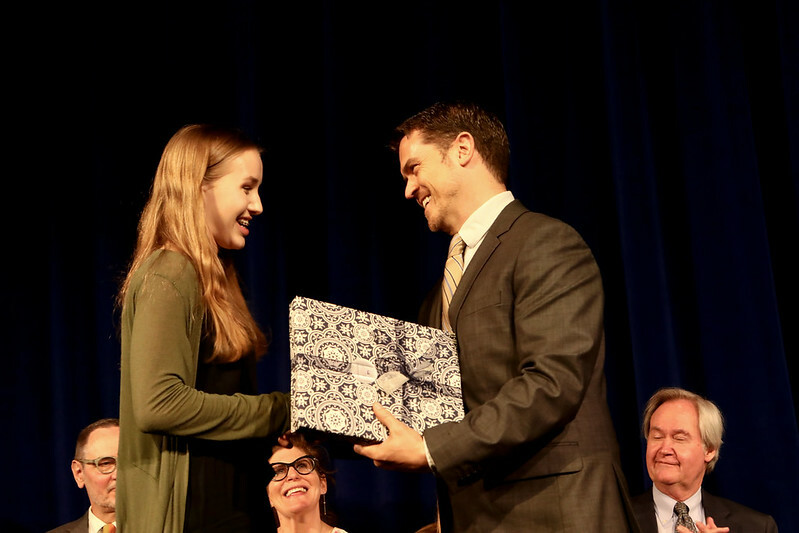 At a spring ceremony for high school students, the Prep administration acknowledged the excellence of faculty, coaches and students in a variety of academic and leadership pursuits. Director of Special Projects Nick Adams-Wright won the Detoy Award, which is the highest honor a member of the faculty or staff can win. Melissa Manfull won the Class of 1987 Award, which is chosen by a vote of the student body. Girls Basketball coaches Jayme Kiyomura Chan and Kevin Kiyomura won the Scott Studenmund ’08 Memorial Award. High school students received recognition for their community impact work, athletic achievements and for every academic subject. The ceremony concluded with a transition in student leadership. The Class of 2019 was granted full senior privileges, including access to the Senior Patio and Lawn. Click here to see a full list of award recipients. Baccalaureate is, in the words of Peter Bachmann, “our quiet time,” a time of contemplation in advance of the celebration at Commencement. Mike Gitlin, parent of Wyatt ’16, Sophie ’18 and Max ’20 made an inspiring and funny speech full of wise advice for the graduates. 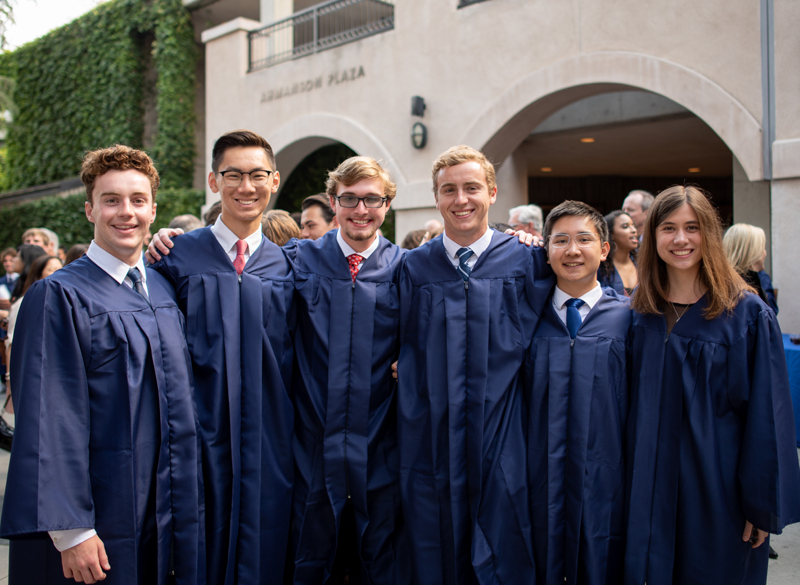 Commencement was a celebration of the Class of 2018 as scholars, athletes, leaders and friends. In addition to the awarding of honors and diplomas, the event was filled with speeches. Board Chair Karl Swaidan addressed the graduates, as did Senior Class President Olivia Harber, the elected class speaker. She was joined by Founders Trophy winner Conrad Oakes and Benton Trophy winner Suha Chang in addressing classmates, families and guests. 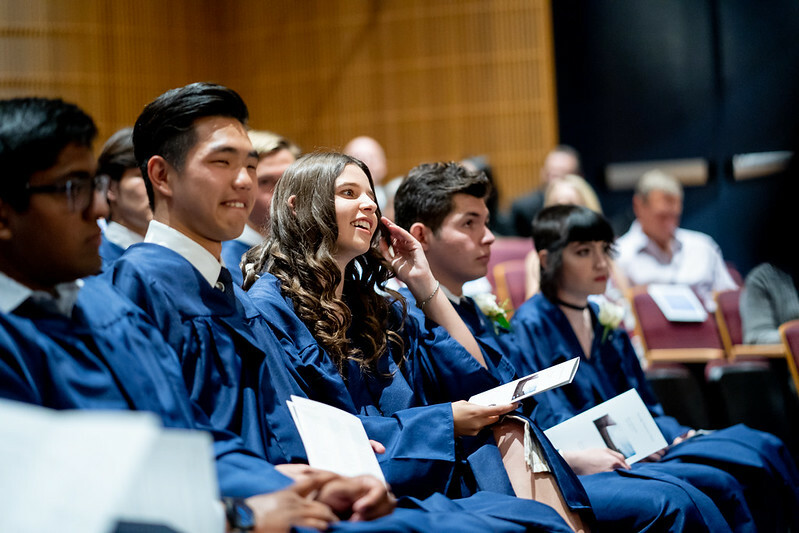 Click here to see photos of Baccalaureate. David Codiga represented the Board in remarks delivered at the 8th Grade Promotion and Middle School Awards ceremony. Veronica Habashy, 8th grade class president, also addressed students and guests. Click here to see photos of Promotion.